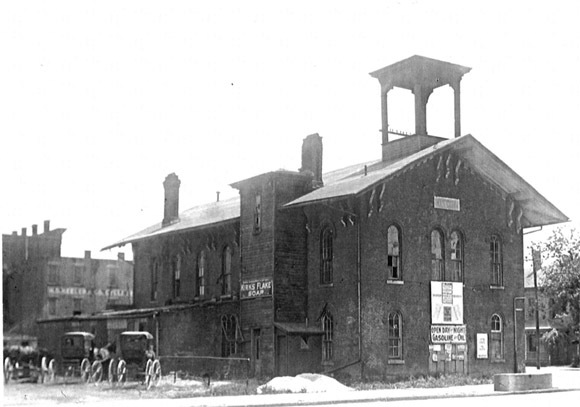 This photo, courtesy of Randy and Sandy Winland, shows the original Marion city hall, jail and fire station shortly before it was razed in 1920. It was situated on the northeast corner of Church Street and Prospect Street. This photo was taken from the west side of Prospect Street. A headline to one of the “Shoe String Jack” articles appearing the the Marion Daily Mirror in March of 1909. In any case, in 1909 articles began appearing in the Marion Daily Mirror detailing some of the strange events that were happening there. 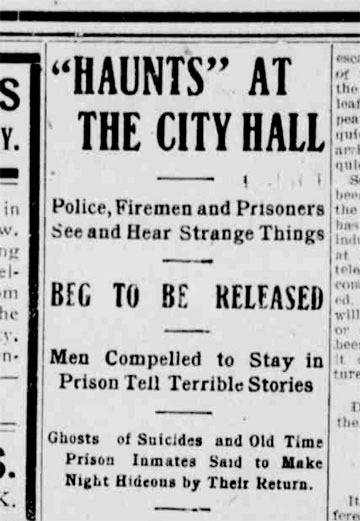 There were rumors of the ghosts of men who had killed themselves in the jail cells there and reports of and “black snaky objects” hovering over the beds of sleeping firemen.